Draft: 2006, Houston Astros, 6th rd. Graduated from San Marin High School (CA) ... Played college baseball at Cal Poly-San Luis Obispo ... Resides in Austin, Texas. Began year as a full-time relief pitcher for the first season in his career ... Made 56 straight relief appearances to begin the season before making three starts out of his last four appearances of the season, no start longer than 3.1 innings ... Was 0-1 with a 1.08 ERA in three starts covering 8.1 innings and 2-5 with a 4.70 ERA in 57 relief appearances ... Recorded a career-high 19 saves in 23 opportunities, leading the Angels and ranking 10th in the A.L ... Posted a career-high with 60 appearances, ranking T4th among Angels pitchers ... Pitched on consecutive days 18 times with three instances pitching three straight days (4/20-22, 5/13-15 & 6/11-13) ... Was placed on the 10-day disabled list twice (6/19-30 & 8/29-9/5), both instances with right knee inflammation ... Made one rehab assignment appearance with Inland Empire (A) on 6/29, tossing a scoreless inning with three strikeouts ... Stranded 11 of 16 inherited runners. • Had four relief appearances of four outs or more with a season-high 3.0 innings vs. TEX (4/11) ... Posted positive reverse split holding left-handed batters to a .188 BA (18-96) with only three extra base hits, all doubles. Appeared in 35 games making 19 starts between the Atlanta Braves and Los Angeles Dodgers ... Was involved in a five-player trade sending him from Atlanta to Los Angeles (NL) with cash considerations, OF Dion Toscano and RHP Alec Grosser (player to be named) for RHP Caleb Dirks and LHP Phil Pfeifer on June 30 ... Was a combined 6-10 with a 5.10 ERA ... Posted a 6-7 record with a 5.42 ERA in 19 starts and was 0-3 with a 3.74 ERA in 16 relief appearances ... Suffered a mid-back strain (8/6-19) and was placed on the 10-day disabled list while with Los Angeles ... Pitched a season-high 7.0 innings on three separate occasions. Was 5-1 in starts (7) of 5.1 innings or more. Split the season between Baltimore and San Diego, going a combined 3-11 with a 6.72 ERA (62 ER/83.0 IP) in 38 games (11 starts)…Began the season in Baltimore's starting rotation, compiling a 2-7 record with a 6.79 ERA (42 ER/55.2 IP) in 11 starts…Allowed a career high-tying nine runs, 4/21 at TOR. Also tied his personal high with four home runs allowed on 6/29 vs. TEX…Went to the 15-day disabled list from 5/11-6/7 with a case of bronchitis. Made three combined rehabilitation starts with Triple-A Norfolk and Double-A Bowie, going 0-2 with a 10.03 ERA (13 ER/11.2 IP)…Moved to the bullpen for seven appearances and went 0-2 with an 8.44 ERA (10 ER/10.2 IP)…Lost five straight appearances, 6/18-7/8, the second longest such streak of his career. Took the defeat in seven straight, 5/31-7/20/12…Baltimore designated him for assignment on 7/31 and he joined San Diego on 8/11. Went 2-9 with a 7.06 ERA (52 ER/66.1 IP) in 18 games (11 starts) for the Orioles…Made his Padres debut on 8/11 with a perfect inning of relief vs. CIN…Did not allow an earned run in 15 of 20 appearances with San Diego…Struck out 21 in 16.2 innings with the Padres. Norris' Care. Made 30 starts (32 app.) while pitching for Houston and Baltimore ... Had two relief appearances with Baltimore (8/14 at ARI & 9/20 at TB) ... Started six games in June going 1-3 with a 2.77 ERA and 33 strikeouts in 39.0 innings. Was 4-1 with a 1.71 ERA in 11 starts at Minute Maid Park and was 3-12 with a 6.94 ERA in 18 road starts ... Struck out a season-high 12 batters over 6.0 innings vs. STL (5/5) allowing four runs on home runs by Daniel Descalso and Allen Craig and took a 4-3 loss ... Tied Ublado Jimenez (CLE) for the MLB lead with 12 road losses and was the 2nd-highest total in Astros club history (Turk Farrell, 14, 1962) ... His 6.94 road ERA set the mark for highest in Astros club history ... Began the longest scoreless streak of his career (18.1 IP) that included his final two starts of 2012 (13.1 IP) vs. STL (9/26, 7.1 IP) and at CHI (10/2, 6.0 IP) and the first start of 2013 vs. TEX (3/31; 5.0 IP). Pitched his first full season in the Major Leagues posting career-highs with 31 starts, 186.0 innings and 176 strikeouts ... Had three double-digit strikeout games (5/1 vs. MIL w/11; 7/1 vs. BOS w/10 & 8/28 at SF w/10), ranking T8th among National League pitchers. Struck out a career-high 14 batters vs. PIT (8/14) over 7.0 innings in a 3-2 win. Also went 2-for-2 with a double ... Had two double-digit strikeout games (5/23 vs. TB & 8/14 vs. PIT) ... Ranked 5th in the National League with 9.25 stirkeouts/9 IP, the highest rate by an Astros pitcher since Nolan Ryan in 1988 (9.33). Made his Major League debut at Wrigley Field vs. CHI (7/29) with 3.0 innings of relief in a 12-0 loss ... Earned his first Major League win in his next appearance, a start at STL (8/2) firing 7.0 scoreless innings of two-hit ball (first 5.0 innings did not alow a hit) with four walks and five strikeouts in a 2-0 Astros win. Also recorded his first MLB hit, an infield single off Adam Wainwright ... Won three straight starts (8/2-12) before dropping the next three starts (8/18-29), and finished by winning his final three decisions (9/6-23) ... Had two scoreless starts vs. STL (8/2 & 9/23) covering 13.0 innings ... Pacific Coast League Pitcher of the Year as well as a PCL Mid-Season and Post-Season All-Star ... Named PCL Pitcher of the Week (June 15-22), posting two 8.0-inning scoreless starts at Nashville (6/15) and vs. New Orleans (6/22) with a season-high 10 strikeouts ... Led the Pacific Coast League with a 2.63 ERA, despite a 4-9 record. Also led the PCL in lowest opponent BA (.237) and strikeouts/9 IP (8.40). Tied for the Corpus Christi (AA) team lead with 84 strikeouts despite making only 19 starts ... Was on the 7-day disabled list (5/18-7/6) with a right elbow UCL strain ... Missed the end of the season on the Temporary Inactive List (8/21-9/25) tending to family matters ... Made 12 appearances for Scottsdale in the Arizona Fall League and was 0-0 with a 1.89 ERA, one save and struck out 20 batters in 19.0 innings ... Ranked 2nd in the AFL in ERA (1.89) behind Tommy Hanson (0.63). Averaged 10.89 strikeouts/9 IP over 96.2 innings in Lexington (A) ... Struck out a season-high 10 batters over 5.1 innings in his final start vs. West Virginia (8/27) while in Lexington ... Made one start for Salem (A) in the Carolina League playoffs striking out six in 5.1 innings in a no decision. Struck out a season-high 13 batters over 5.0 innings vs. Vermont (8/26). One of three starts (15 app.) he made on the season for Tri-City (SS-A) ... Made one postseason appearance, surrendering one run on two hits with two walks in a blown save opportunity. March 7, 2019 Toronto Blue Jays signed free agent RHP Bud Norris to a minor league contract and invited him to spring training. 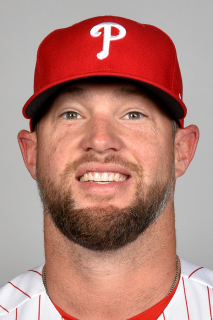 March 7, 2019 RHP Bud Norris assigned to Buffalo Bisons. October 29, 2018 RHP Bud Norris elected free agency. February 14, 2018 St. Louis Cardinals signed free agent RHP Bud Norris. November 2, 2017 RHP Bud Norris elected free agency. September 6, 2017 Los Angeles Angels activated RHP Bud Norris. July 1, 2017 Los Angeles Angels activated RHP Bud Norris from the 10-day disabled list. June 29, 2017 Los Angeles Angels sent RHP Bud Norris on a rehab assignment to Inland Empire 66ers. June 20, 2017 Los Angeles Angels placed RHP Bud Norris on the 10-day disabled list retroactive to June 19, 2017. Right knee inflammation. April 2, 2017 Los Angeles Angels selected the contract of RHP Bud Norris from Salt Lake Bees. February 2, 2017 RHP Bud Norris assigned to Salt Lake Bees. January 30, 2017 Los Angeles Angels signed free agent RHP Bud Norris to a minor league contract and invited him to spring training. September 28, 2016 Los Angeles Dodgers released RHP Bud Norris. September 20, 2016 Los Angeles Dodgers designated RHP Bud Norris for assignment. August 19, 2016 Los Angeles Dodgers activated RHP Bud Norris from the 15-day disabled list. August 13, 2016 Los Angeles Dodgers sent RHP Bud Norris on a rehab assignment to Rancho Cucamonga Quakes. August 6, 2016 Los Angeles Dodgers placed RHP Bud Norris on the 15-day disabled list retroactive to August 1, 2016. Mid-back strain. July 1, 2016 Los Angeles Dodgers activated RHP Bud Norris. June 30, 2016 Atlanta Braves traded RHP Bud Norris, LF Dian Toscano, Player To Be Named Later and cash to Los Angeles Dodgers for LHP Philip Pfeifer and RHP Caleb Dirks. November 25, 2015 Atlanta Braves signed free agent RHP Bud Norris. November 2, 2015 RHP Bud Norris elected free agency. August 11, 2015 San Diego Padres signed free agent RHP Bud Norris. August 8, 2015 Baltimore Orioles released RHP Bud Norris. July 31, 2015 Baltimore Orioles designated RHP Bud Norris for assignment. June 7, 2015 Baltimore Orioles activated RHP Bud Norris from the 15-day disabled list. June 2, 2015 Baltimore Orioles sent RHP Bud Norris on a rehab assignment to Norfolk Tides. May 27, 2015 Baltimore Orioles sent RHP Bud Norris on a rehab assignment to Bowie Baysox. May 22, 2015 Baltimore Orioles sent RHP Bud Norris on a rehab assignment to Norfolk Tides. July 21, 2014 Baltimore Orioles recalled RHP Bud Norris from Bowie Baysox. July 10, 2014 Baltimore Orioles optioned RHP Bud Norris to Bowie Baysox. July 8, 2014 Bud Norris roster status changed by Baltimore Orioles. June 22, 2014 Baltimore Orioles activated RHP Bud Norris. July 31, 2013 Houston Astros traded RHP Bud Norris to Baltimore Orioles for LF L.J. Hoes and LHP Josh Hader. July 31, 2013 Bud Norris roster status changed by Baltimore Orioles. June 29, 2012 Bud Norris roster status changed by Houston Astros. June 23, 2012 sent RHP Bud Norris on a rehab assignment to Oklahoma City RedHawks. June 28, 2010 Houston Astros activated RHP Bud Norris from the 15-day disabled list. June 11, 2010 sent RHP Bud Norris on a rehab assignment to Round Rock Express. July 29, 2009 Houston Astros selected the contract of RHP Bud Norris from Round Rock Express. April 9, 2009 Bud Norris assigned to Round Rock Express from Houston Astros.